Installation: save file tsk in "My documents" folder on your Pocket PC, go to Start > Configuration > Today and select theme there. Filter Factory® plugin that allow obtain a black and white image from a color image and simulate filters for grey tones differentiation. Filters: red, orange, yellow, green, cyan and blue. Examples. A very simple filter. If you are interested in a more sofisticated black and white plugin you are interested in B/W Styler. At The Plugin Site you can find many plugins and other products, freeware and commercial. Furthermore, you can search across its Resources page many other pages with plugins, effects and programs (freeware and commercial). The best plugin site. A simple and useful Color chart. Click image for 100%. 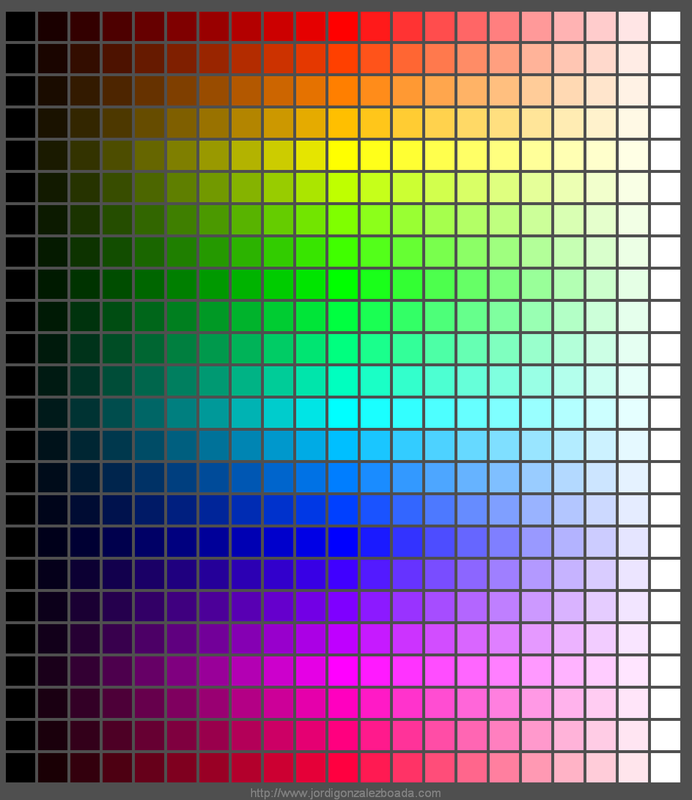 Download the tif file of the Color chart. First row: gamma 2.2 and density equidistant between squares 0.1. Second row: linear, 5% steps. Download the tif file of the Grey scale for BW photography. Ansel Adams and Fred Archer's zone system zones chart. Click image for 100%. Download the tif file of the Zone chart.